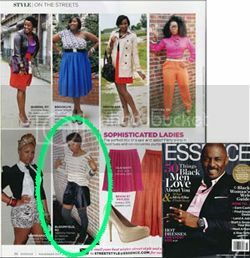 The Fab Chick: Fab Gift Idea: Joelle by Marc JosephPlus a Giveway!!! 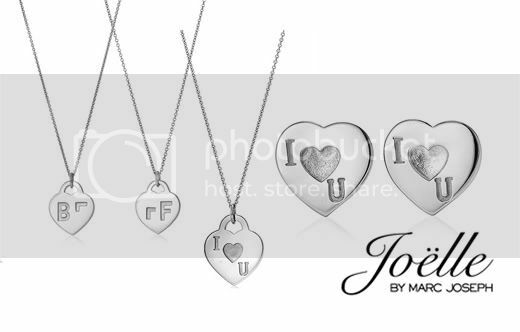 At first site of Joelle by Marc Joseph’s sterling silver pieces, I immediately thought to myself that these would make great gifts. After discussing a few of the items with a dear friend it came to me, these would make perfect Mother’s Day gifts items. They're cute without lacking sophistication that moms tend to have. Mother’s day will be arriving soon. Before you know it, we all will be scrambling and looking for the perfect gifts to express just how we feel about our moms. For me, I always struggle with what to get the woman who has taken care of me, loved me unconditionally and been my best friend. 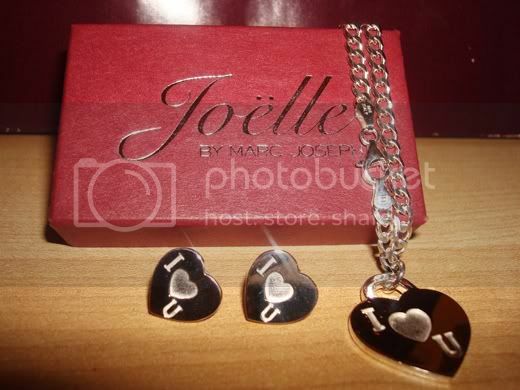 Joelle by Marc Joseph’s “I heart U” stud earrings and other items are super cool for giving mom and sending that ‘I love you’ message. 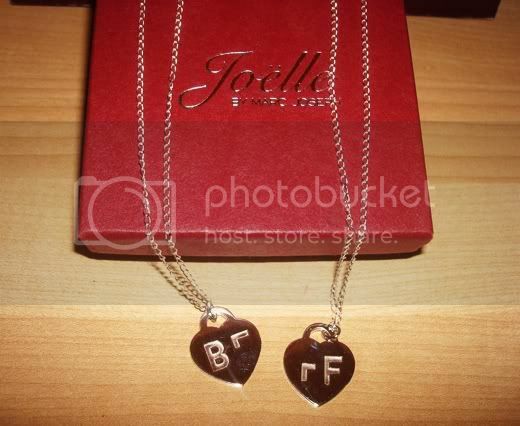 Also, their heart shape pendants engraved with the Joelle ‘BFF’ design is a fun way to celebrate a best friend relationship between a mother and daughter. Or you could just give it to your 'main ace', 'road dog', 'girlfriend' or 'ride or die' chick for being that Fab Chick in your life. Don’t you think? 3. Leave a comment here letting me know if you are going to gift the pendent to your BFF or your mom and why. You have until April 12th to get your entries in, as the winner will be chosen April 13th. I would give the necklace to my mother. We recently had a serious time and it reminded me just how much I needed and loved my mother. I follow you both on Twitter. I would gift this to my mom as she loves things like this and would adore it. My mom of course. She's graduating from FSU on the 29th and this would be the perfect gift. Something to honor her overcoming dyslexia and raising 4 kids alone and teaching me to be a Fab Chick! I would give the BFF to my daughter she has special needs and is so amazing and my BFF for life. I will definitely give the other half to my best friend, who's the other half of my blog and kept me going through so many hard times! I love her and even though I'm in Atlanta and she's in NY, I feel like she's always here with me! I would give the necklace to my bestie because we keep each other sane through college woes and always keep it real while being loyal and caring! I definitely would not have made it without her true friendship and support.